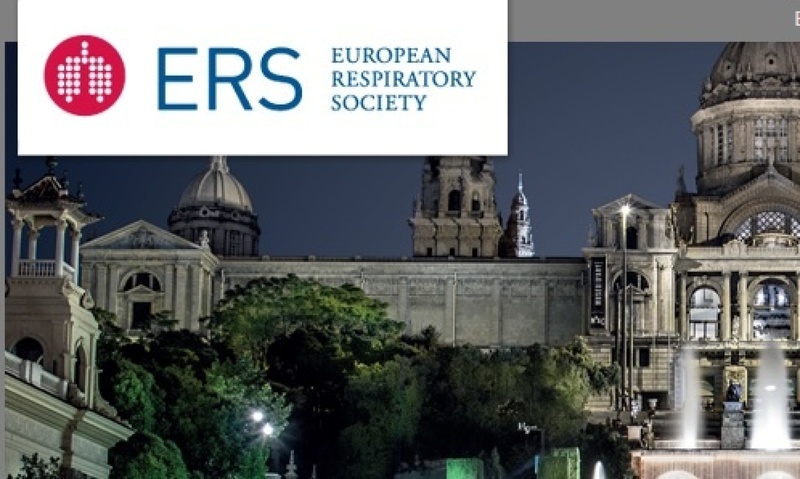 During his presentation at the European Congress of Bronchology & Interventional Pulmonology in Barcelona, Dr Julius Janssen (CWZ Nijmegen, the Netherlands), shared his experiences with the Tru-Close Thoracic Vent of RMS. 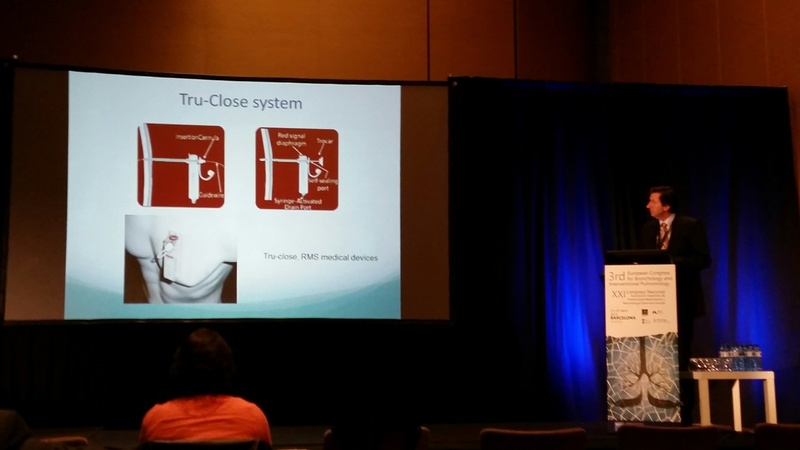 The Tru-Close Thoracic Vent is the a minimal invasive device for the Management of Pneumothoraces. RMS Medical Devices verwelkomt u op onze stand op het NVGE congres op 19-20 maart. 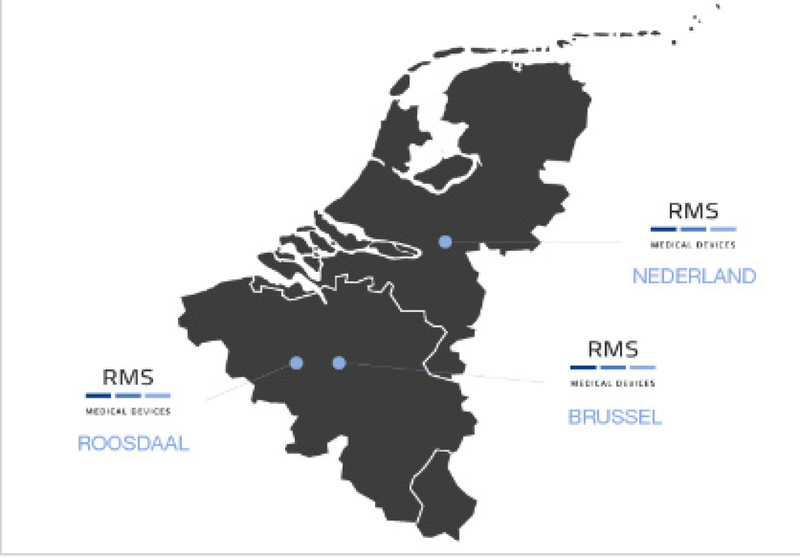 RMS, a leading medical devices developing & distribution company with focus on BeNeLux, proudly announces the opening of a new subsidiary in the Netherlands in Januari 2015. The new branch will be located in Vianen, close to Utrecht and serve as a commercial, administrative & logistic hub to optimize the service towards our local customers. 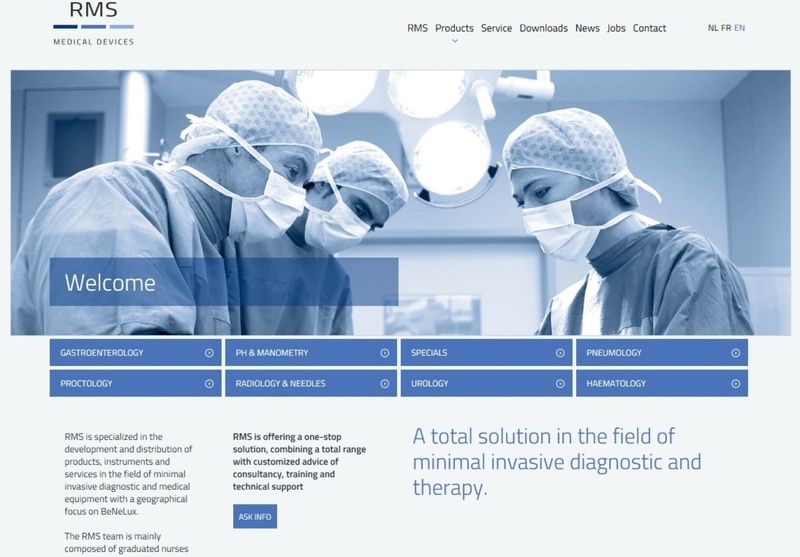 With more than 25 years of experience, RMS has established the reputation as a one-stop solution & service provider for the health care provider within BeNeLux. Since GI & endoscopy have always been an important focus, RMS has now decided to expand its activity with "manometry" to optimize its product range for the GI-specialists. Therefore RMS proudly announces the launch of our newest Business Unit "Manometry". From December 2014, our colleague Veerle Seghers will be in charge of the development of RMS' manometry-activity and take the leading roll for this business unit. Veerle has more than 10 years of experience as an endoscopy nurse at the University Hospital of Leuven, with an extensive knowledge of GI, pH- & Manometry procedures. For additional information, our team of experienced product specialist is always at your full disposal! please contact rms@rmsmedicaldevices.com for more information! 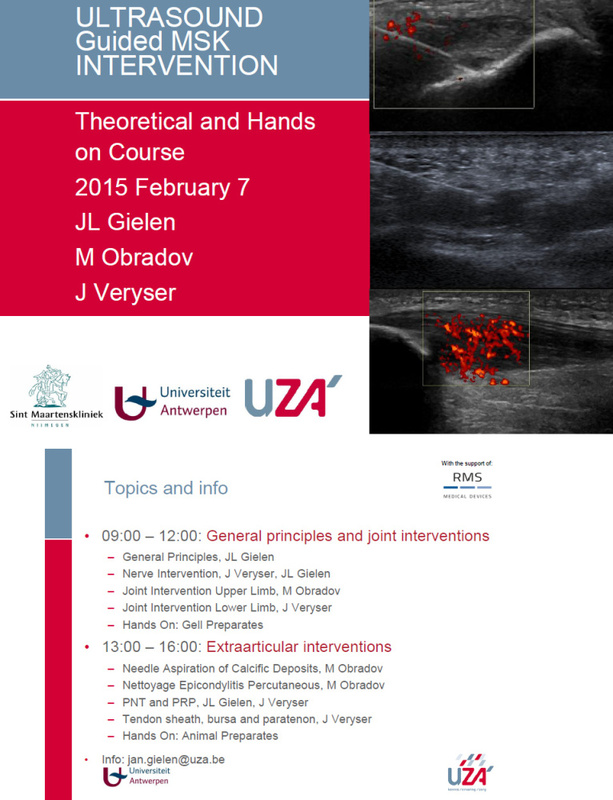 Apart from technical skills the modules will have a strong focus on the clinical context and team performance. Throughout the course considerable exercise time is provided at multiple hands-on stations in order to practice your skills. On day 1 (Basic) the emphasis will be on the airway anatomy and important skills such as handling of the bronchoscope, TBNA and airway hemorrhage management. 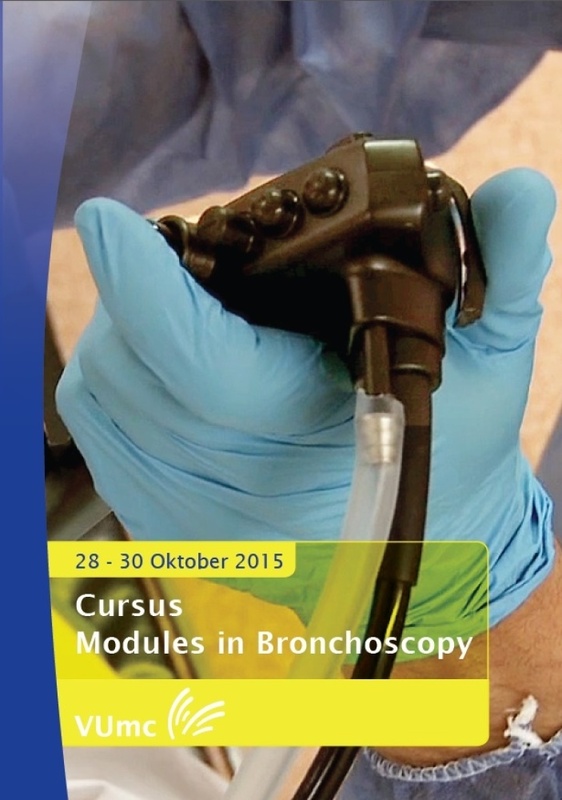 On day 2 (advanced diagnostic) the emphasis will be on (lung) cancer staging and more advanced diagnostic techniques such as EBUS and autofluorescence bronchoscopy. Day 3 is all about therapeutic bronchoscopic interventions such as lung volume reduction techniques, tumor debulking and airway stenting. 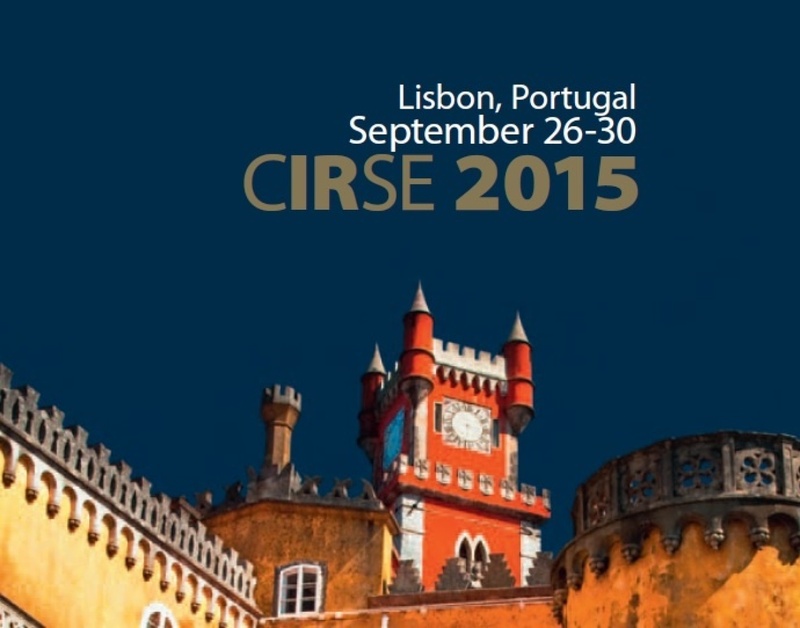 CIRSE 2015 marks the organisation’s 30th anniversary, and our celebrations will include a one-off event, the X-Session, presented by six former CIRSE presidents, who will recall important formative moments from their clinical careers, and reflect on how the field of IR has grown and progressed since their early involvement. Lisbon offers a great opportunity to celebrate our diverse community and explore our growing specialty, and promises to be a congress to remember. 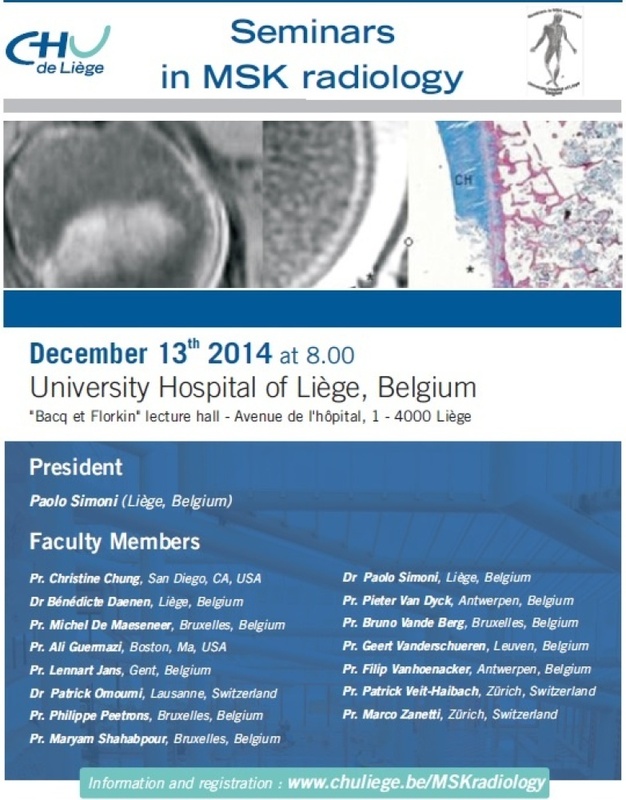 Come celebrate 30 years of excellence in IR with us in Lisbon! As every year, RMS will attend the MEDICA convention in Dusseldorf. Please feel free to contact us to schedule a meeting!